Listen to last week's sermon! regardless of creed, race, sexual orientation, or anything that may separate you from another community! Worship with us Sundays at 9am! 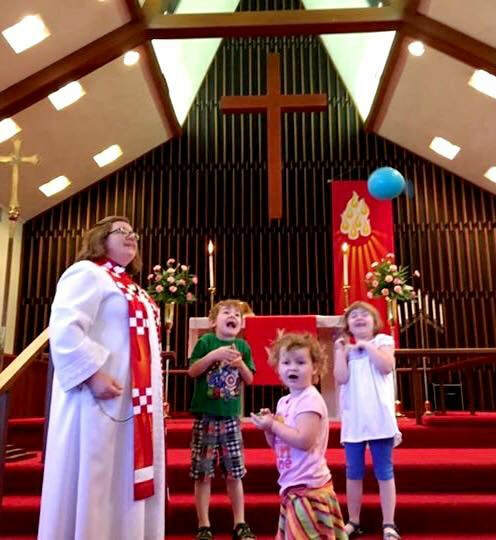 Fellowship and Faith Formation for all ages follow worship every week. 1907 Hollywood Dr. York, PA 17403. ​Service with Holy Communion at 7p.m. Tenebrae Service at 7 p.m.
followed by fellowship and egg hunt. Luther Memorial partners with the York Suburban Impact Foundation to provide a food backpack ministry to feed York Suburban students over the weekend. at 12:45 p.m. in the church narthex. All are welcome to attend as able. Do you knit? We have a group for you! Stitches of Love meets in the church narthex at 11:45 a.m. on the 3rd Tuesday of each month to create garments to keep children warm. They have created and distributed over 25,000 hand-made items locally and around the world. Bring lunch and your knitting project. Visit our SERVICE PAGE to see a slideshow for Stitches of Love and to see all their beautiful creations.